The “Young Entrepreneur Award” honors leaders from a variety of business and cultural sectors for their outstanding contributions to their respective industries and communities. Among the 2014 “Young Entrepreneur Award” honorees is the owner of Halwasiya IT Solutions Garvit Halwasiya, who accepted the award during a reception at the Rayburn House Office Building on Capitol Hill in Washington, D.C.
Each year, the Indo-American Friends Group/Indo-American Business Chamber presents this award to trailblazers from a variety of industries. Nominations are submitted by members of the Indian, Indian diaspora and Indian-American communities.  Halwasiya IT Solutions is company providing affordable and effective solutions to SMB’s across the world to keep themselves updated with the latest technology & industry trends.